This relationship starts from ancient magico-religious rituals and continues through ages right upto present times. In this long history we find different religions adopting different attitude towards theatrical become a most powerful medium of propagation of religious creeds. It was considered that the best way to appease the God is to offer him theatricals. Beautiful maidens were consecrated to the temples to serve the deities by entertaining them with songs, music, dance and drama. 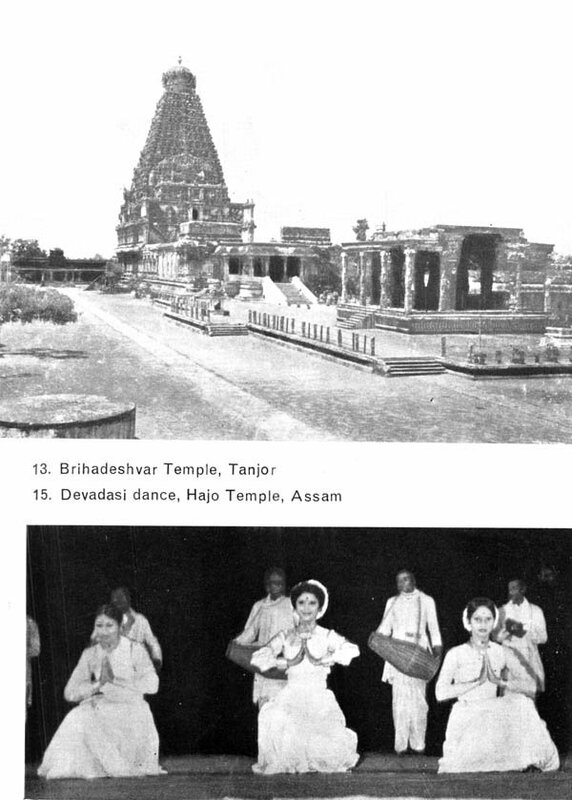 One time the magnificent temple of Brihadeshvara had in its service four hundred Devadasis skilled in theatrical arts. 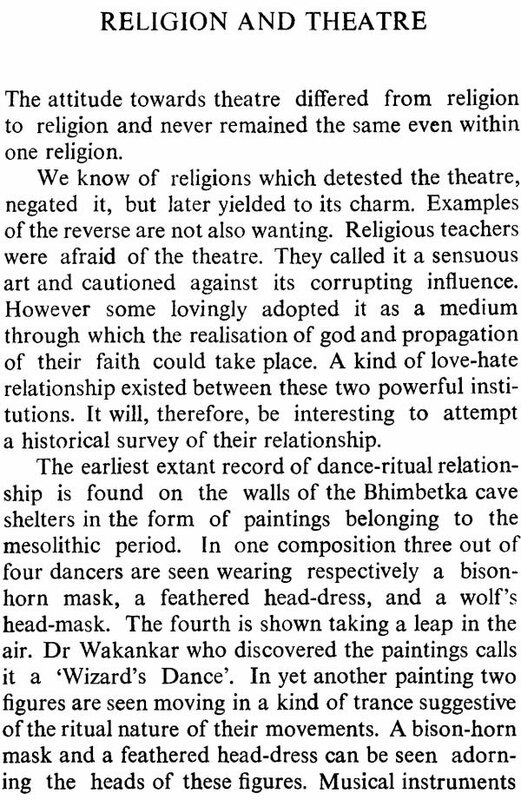 Advent of Bhakti movement in India gave new impetus to the theatrical arts in India. 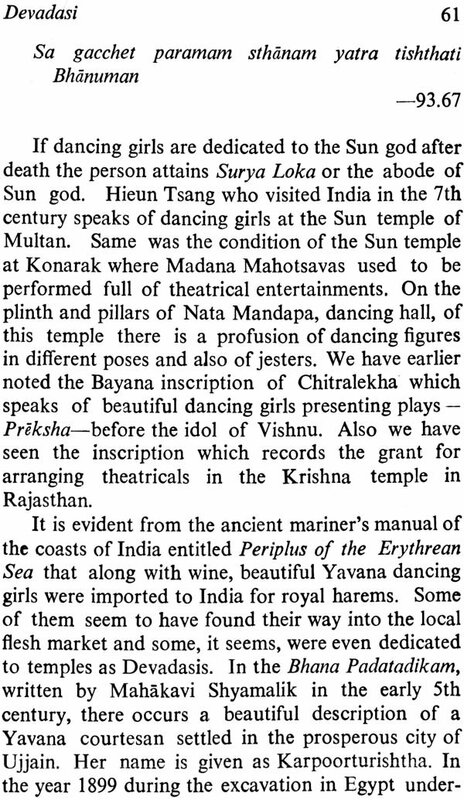 Various theatrical forms purported to depict Leelas or divine acts of various deities emerged all over the country. 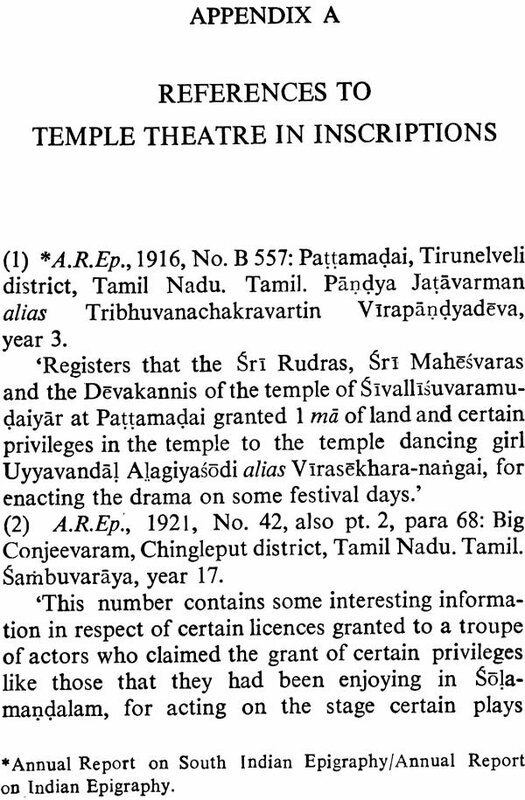 Grants were made to temples and religious establishment to sustain theatrical activities. 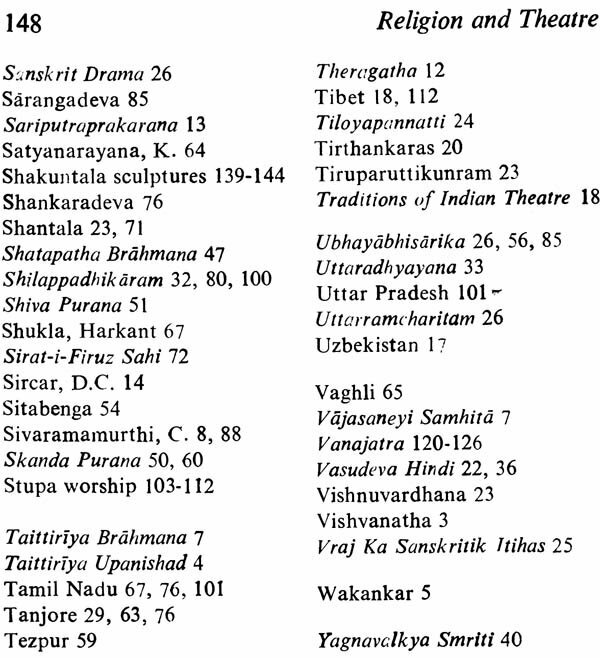 The book gives all interesting information about various facets of theatre-religion relationship. The author known for his erudite scholarship, examines minutely various evidences including ancient cave painting, folk and tribal and theatrical forms themselves. The book is must for the serious students of Indology and Indian theatre. M. L Varadpande known for his erudition and profound scholarship has by the way of his writing contributed significantly to the understanding of ancient Indian art, literature and culture. Critics have expressed appreciation for his capacity to do in-depth study of the subject and offer original interpretation of the facts discovered. Writing about his work Traditions of Indian Theatre The Tribune remarks: 'The book provides many reflective insights that lift this study to more than a research work Mr. Varadpande' s contribution is valuable.' Same can be said about his scholarly works like 'Ancient Indian and Indo-Greek Theatre', 'Krishna Theatre in India' and The Critique of Indian Theatre' (Ed). 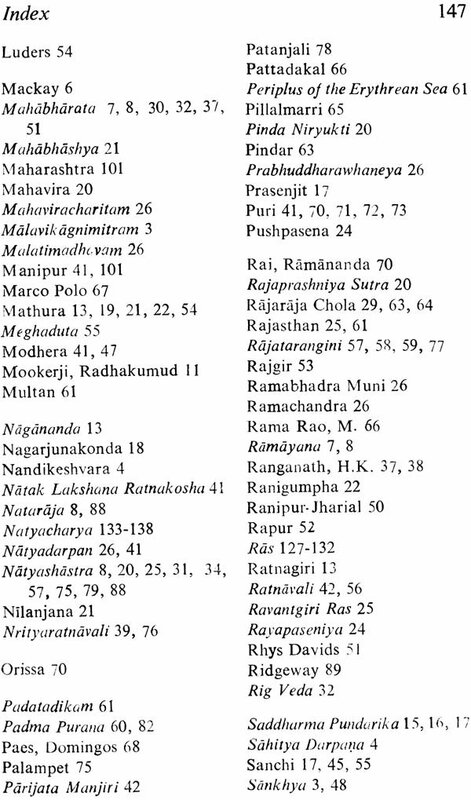 One of the books has been published by the Sahitya Akademi, National Akademi of Letters of India, which is now being translated into various Indian languages. He is an Associate Editor of 'Alochana' Journal devoted to art, literature and culture. He has recently been nominated as a member of the programme Advisory committee of the All India Radio, Delhi. He is also member of the Board of Studies of fine Arts and Faculty of Arts of the Nagpur University. The Indian Council of historical Research has awarded him a research fellowship to work on the project: 'Temple Theatre in Indian'. His forthcoming works are: 'The Cult of Stupas', 'Ashta Nayika', 'Krishna Opera of Vraj'. A multi-dimensional relationship exists between religion and theatre. Primitive religion is ritual oriented. A ritual is defied as a system of esoteric and sacrosanct rites with prescribed procedures. It was, and still is performed to appease the spirits, avert calamity and set benevolent forces into action. A pronounced element of theatricality is present in rituals. Many a time a ritual takes a form of rudimentary drama. Anthropologists known that the whole hunting scence is enacted as a magico-religions ritual by the primitive community to ensure favourable results in future expeditions. Rituals helped the inherent element of theatricality to grow and evolve itself into an independent activity. A ritual is performed on two levels. Sometimes the whole community participates in it, and sometimes the task of performing the ritual is entrusted to persons specially chosen for the purpose. Their leader came to be known as the priest. These persons assumed different roles to act out rituals. In the priest in trance we see the early glimpse of an actor. When in a community a group of persons or an individual is separated and the task of performing the ritual is entrusted to this separate group or persons there comes into existence the audience-performer division. To the marked out for performing a ritual the origin of the Ranga Bhumi (stage) can be traced provided the theme for stage enactment. 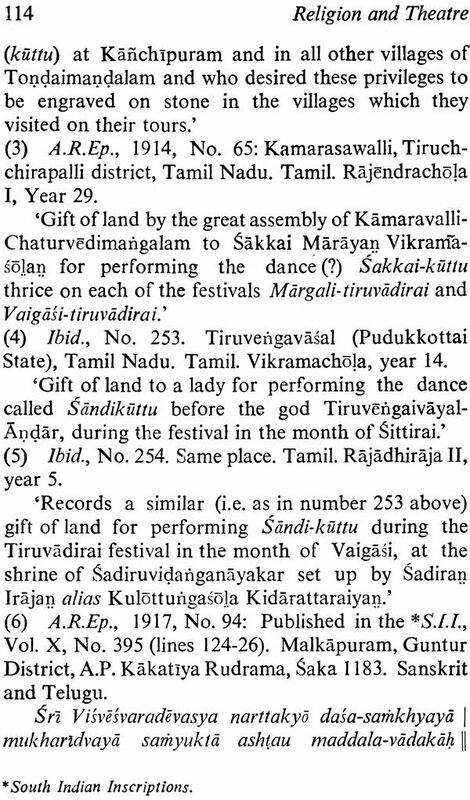 In the frenzied movement of the ritual performer the art of dancing originated. The gesture language adopted by the priests helped the formulation of a code of acting for the stage. The priest who the spirit probably created the form of verbal exchange called dialogue. Other accessories like masks make-up and singing are common to rituals and the theatre. Primitive religion and its system of rituals gave the dramatic art many necessary ingredients to evolve itself into a separate entity. Even after theatre grew into an independent from, its unique relationship with religion continued taking different hues from time to time. In India this relationship is still a living reality and the mutual influences can very well be traced and discerned. 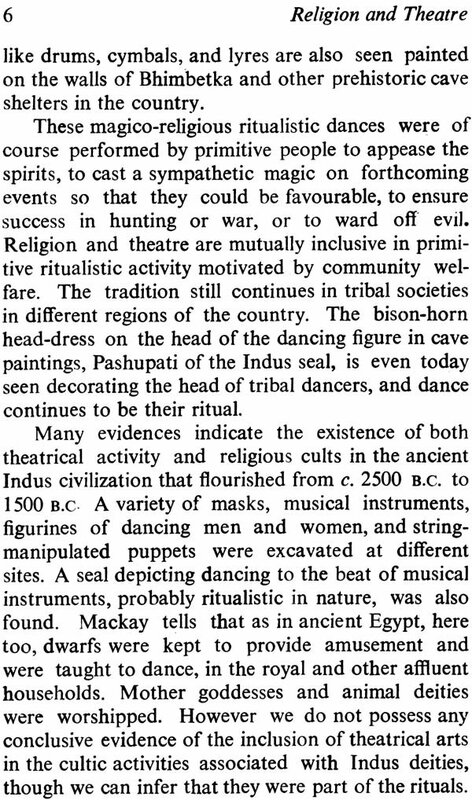 Though the history of the religion-theatre religion-ship goes beyond the Vedic period, we find it reflected quite clearly in the ritual of fire sacrifice of the Vedic rituals are highly theatrical in fact we may even call them rudimentary playlets. They incorporate in their execution song, music dialogue symbolic gesture language dance myth all the ingredients of theater are present in the rituals of their predecessors who have left some significant evidence in the form of cave paintings. Like the rituals well-ordained religio-philosophical system and concepts have also influenced the thinking of Indian dramatists. When is his play Malavikagnimitram Kalidasa says that the drama depicts the human nature based on three fundamental qualities (traigunyodbhava lokacharitam), he is clearly referring to the principles of raja, tama and satva of Sankhya philosophy. 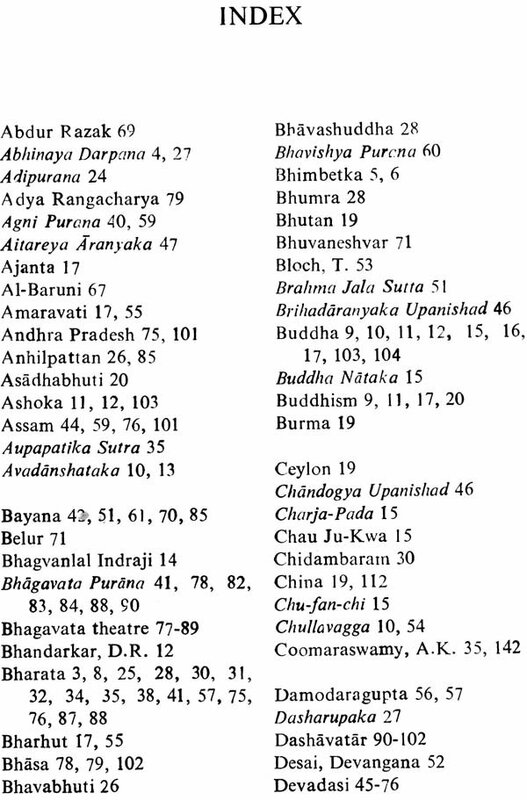 Likewise the categorization of men and women into three types, uttam (superior), madhyam (middling) and adham (inferior) made by Bharata, seems to have been based on the same fundamental qualities propounded by the Sankhya philosophy. The law of Karma-Karma Siddhanta-has deeply influenced Indian playwrights. On more than one occasion Bharata clearly states that the karma of actions of the basic theme of the drama. It narrates actions of man (naranam Karmasanshrayam) it depicts his various acts (karmani vividhani cha) 'I have created this science of dramaturgy taking into consideration the Karma of the people, their deeds and their emotions,' says Bharata, it is no wonder that the entire course of Indian drama was governed by the law of Karma. 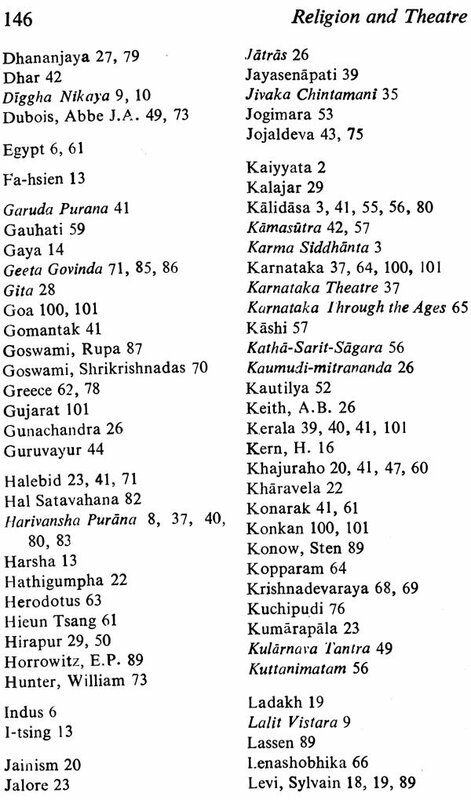 The plots of the classical Indian plays are governed by the tents of this all-pervading religio-philosophical theory. The aim of human actions (karma) is to achieve four supreme goals of human existence, namely dharma artha Kama and moksha. Persons who witness the dramatic performances achieve the same goals say the dramatists. Rasa is the aesthetic experience culminating into bliss. Drama gives this aesthetic experience to the audience. 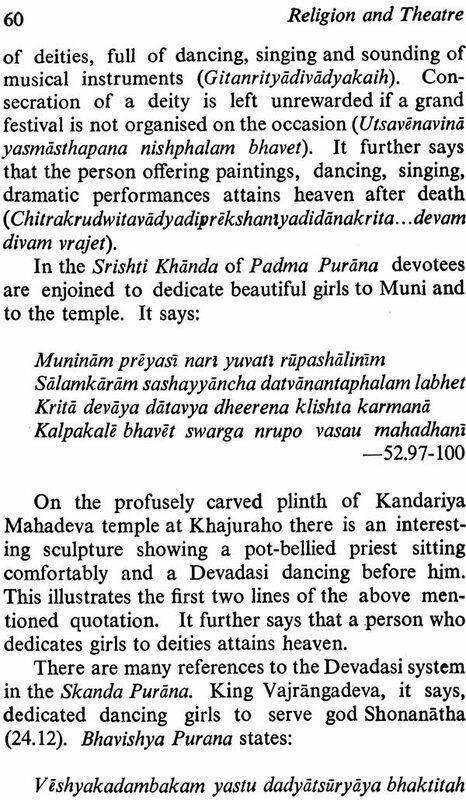 When Vishvanatha in his work Sahitya Darpana says that this blissful aesthetic experience compares with the blissful divine experience of Brahman he is referring to the Upanishadas. The Taittiriya Upanishad says that Brahman is rasa (raso vai sah) and is nothing but bliss (anando brahmeti vyajanat). 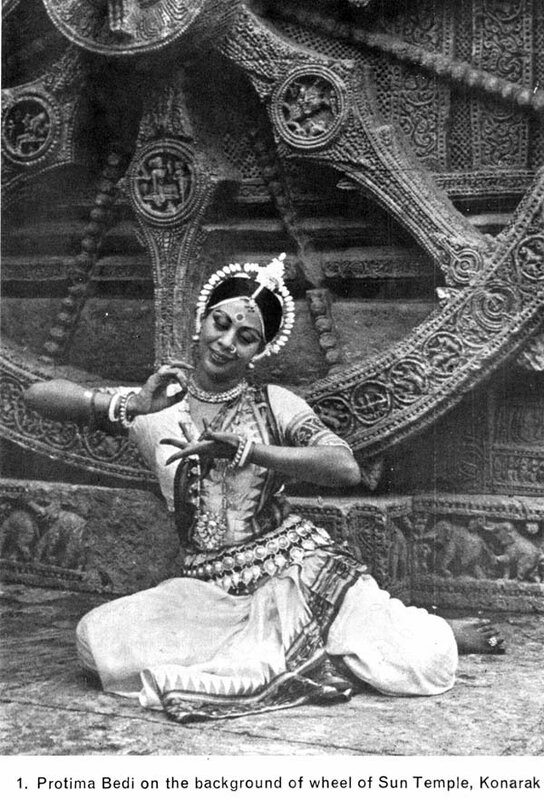 Acharya Nandikeshvara in his famous work Abhinaya Darpana says that according to some scholars the blissful aesthetic experience one gets from witnessing dance or drama or drama is superior to the blissful experience of Brahman. This is enough to underline the religion-theatre relationship for the present. With this in mind let us now attempt an in-depth study of this unique relationship. i like this book. can i get a copy of it? if yes, how?